Elevate any outfit with artful MARBLES from Midas. 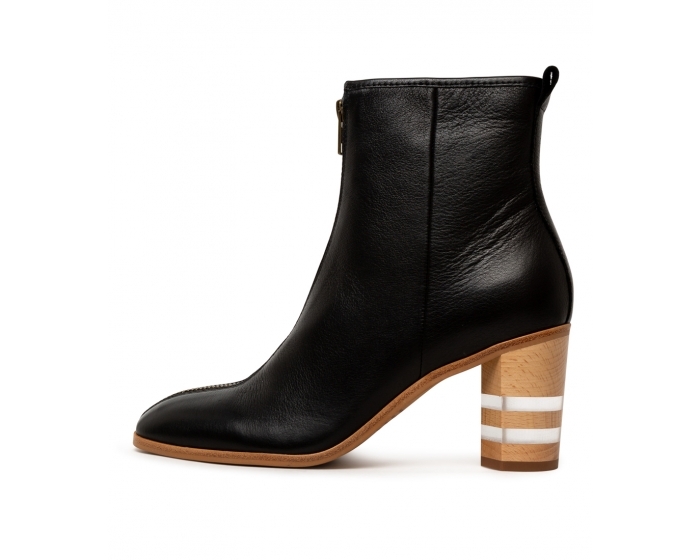 Boasting a super chic silhouette that is both modern yet wholly timeless, the pair has been made from supple grain leather that gets better with age. Finished with acute attention to detail, they're accented with a front zipper and prismatic block heel stacked with perspex for a sculptural edge.